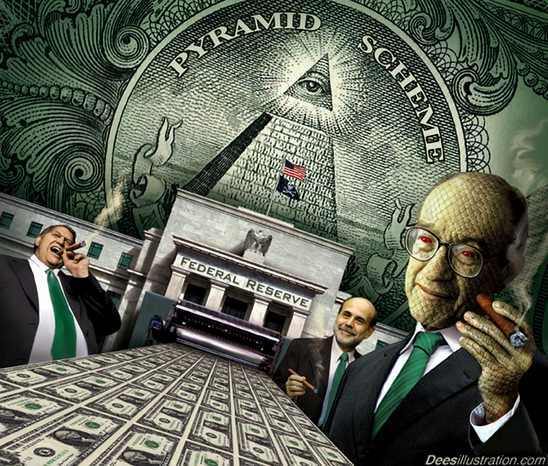 The Federal Reserve uses euphemistic smoke and mirrors to obscure their operations. With full knowledge the following is not the way the Fed/government describes the system, allow me to offer a different analysis of their mathematical operation. Congress can pay for federal expenses with funds collected from taxes, but Congress is never satisfied with this amount. The desire to buy votes/campaign contributions from special interest groups induces congress-critters to spend more, and this is identified as deficit spending. To create this make-believe money requires the assistance of the Federal Reserve. Approximately 45% of the 2009 budget was paid by new fiat money. We used the Hegelian Dialectic of problem, reaction, solution when we, acting as the controlled opposition, put out the very clever film “Food Inc”. You can be like me and others who love the New World Order. We have spent years and years watching television for our daily downloads. We enjoy the fluoride in our water and the mercury in our vaccines. We eat genetically modified food. Many of our kids have autism. This makes them very special. We like to take our orders from the control freaks in Washington. They love us and just like parents, they always know what is best for their little sheep. We love our rulers who attend meetings at the Council on Foreign Relations and Bilderberg. We love being world citizens and worshiping the earth. Carbon Dioxide is very bad and must be destroyed. We love Al Gore. I call him Papa Gore. “Yes Carbon Dioxide is really bad for you son,” he said to me with a wise smile. I think he will be President of the new World Government. We do not like anyone to protest our government authorities. 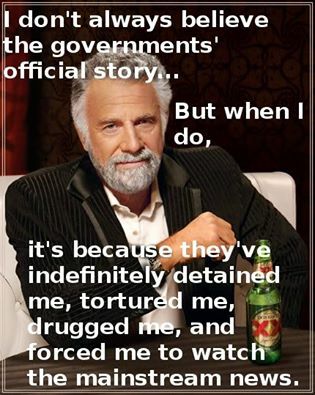 Protesters should always be tased and arrested – or perhaps kidnapped by the military. Even our children should be policed. Learning what our rulers want us to say and repeating it, is our freedom of speech. You are not free to say hurtful things. Hate speech is a form of free speech and must be deterred in the New World Order. We understand that for our safety and to protect mother earth from our wickedness we must have regular home inspections. Allowing others to control and tax you is freedom. New CCC – Didn’t Work Last Time Either. Vowing to find new ways to stimulate the sputtering economy, President Barack Obama will call for long-term investments in the nation’s roads, railways and runways that would cost at least $50 billion.